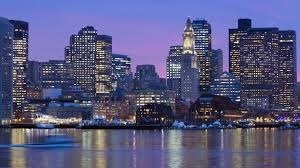 WASHINGTON: Boston was selected as the United States' candidate city for the 2024 summer Olympics on Thursday, seeing off competition from two-time prior host Los Angeles, San Francisco and Washington. The US Olympic Committee (USOC) board of directors, meeting in Denver, chose Boston after multiple rounds of voting and what a USOC statement called "spirited discussion" among the 15-member panel. The four cities were the finalists from a 22-month evaluation process. Following failed Olympic bids by New York for the 2012 Olympics and Chicago for the 2016 Olympics, Boston will now enter a global field expected to field strong candidates from Italy, Germany and France. "We're excited about our plans to submit a bid for the 2024 Games and feel we have an incredibly strong partner in Boston that will work with us to present a compelling bid," said USOC chairman Larry Probst. "We're grateful to the leaders in each of the four cities for their partnership and interest in hosting the most exciting sports competition on Earth. "The deliberative and collaborative process that we put in place for selecting a city has resulted in a strong US bid that can truly serve the athletes and the Olympic and Paralympic movements." The International Olympic Committee (IOC) will select a 2024 Olympic host at its meeting in Lima, Peru, in mid-2017. "Today's decision begins the next phase in our 2024 bid campaign, and we couldn't be more excited about the partnership we've established with the leadership team in Boston," said USOC chief executive Scott Blackmun. The United States has won the most medals at the last five Summer Games and is home to many of the richest corporate sponsors of the Olympic movement as well as its top-paying television rights partners. But not since the 1996 Atlanta Olympics has a US city hosted the Summer Games, with Salt Lake City the most recent US host of the Winter Olympics back in 2002. St. Louis hosted the 1904 Summer Olympics and Los Angeles hosted them in 1932 and 1984. Next year's Summer Olympics will be staged in Rio de Janeiro with the 2020 Olympics being hosted by Tokyo. The 2018 Winter Olympics will be staged in Pyeongchang, South Korea, and the IOC will decide the 2022 Winter Games host at a July 31 meeting in Kuala Lumpur between finalists Beijing and Almaty, Kazakhstan. Why has the longest golf drive record not been broken? Take a close look at the greatest football teams on earth: the FIFA World Cup champions. The World Cup, also known as the Mundial or Copa do Mundo, has been held 19 times since it inaugural tournament in 1930. All my friends, settle down, let me talk, I will get more and more emotional. My life - between 22 yards for 24 years ..
Saina Nehwal, Kidambi Srikanth Take Indian Badminton to New Heights in 2014 It turned out to be a watershed year for Indian badminton as the home shuttlers ..
Top 10 Own Goals in Football Football's 10 Most Spectacular Own Goals. It's true, modern ... So good it was, he probably should've celebrated. Will India ever produce a singles Grand Slam champion?